an academic conference on legislative clerkships, and specifically the creation of a legislative law clerk program by the U.S. Congress. The day began with a warm welcome from Dean Bill Treanor of Georgetown Law and Dean Larry Kramer of Stanford Law, which co-hosted the conference. Dean Treanor emphasized that almost everyone who hears about the idea of creating a clerkship program in Congress is supportive of it, and that the primary challenge he sees with the initiative is getting the word out. In the legal profession, for decades new law graduates have been routed into the Judiciary and Executive branches every year, becoming invested in those branches and their legal processes. Congress has no analogous program for new lawyers. Because these young lawyers go on to influential positions, Congress’s constitutional standing suffers over the long run. Dean Treanor closed by announcing that Georgetown Law will fund two clerk positions starting this fall. Dean Kramer then took the podium to frame the history of the clerkship initiative’s origins. He lamented the “cult of the Supreme Court,” and the laser-like focus on the appellate litigation process which he sees as dominating the legal profession and legal education. But Justices are not accountable to the people, and if they were, very few of us would likely vote for them. In many ways, law school tells students that judicial clerking and academia are the most prestigious career paths to follow. These lawyers then become leaders in the profession, perpetuating court-centric thinking. The congressional clerkship is intended to counter that trend. Lawyers will be exposed to the legislative process early on and gain a balanced understanding of the multi-faceted practice of law. Congresswoman Zoe Lofgren of California noted that when she introduced legislation to create a congressional clerkship program with Representative Dan Lungren, one of the problems they sought to address was how the Judicial Branch often misinterprets and even dismisses legislative history. She believes that if more jurists had legislative experience, they would have more respect for Congress and the lawmaking process. The Congresswoman ended by thanking the conference attendees for their time and enthusiasm for the initiative, and reminding us that if she (a Democrat) and Congressman Lungren (a Republican) can promote this bill together, it must have a strong chance of passing. Professor Dakota Rudesill of Georgetown Law opened the discussion by describing the findings of his empirical research, which has demonstrated a profound comparative shortfall in legislative work experience among ‘elite’ members of the legal profession. Despite the dearth of legislative experience among leaders in the legal profession, Professor Rudesill observed that statutory interpretation is the “bread and butter” of federal legal practice. Many students apply to law school to gain a better understanding of the lawmaking process, but instead end up focusing their legal training almost exclusively on court process: "they apply to law school, but end up attending court school." Legislative work is legal work. Therefore, he asked, shouldn’t one’s first option for a federal clerkship be with the Constitution’s first branch, Congress? Professor Chai Feldblum of Georgetown Law pondered how to get people to understand that legislative work is legal work. First, she contended that we need to conceptualize the skill set that is required to combine law and politics. Second, she argued for integrating a lawmaking curriculum into the traditional law school pedagogy. Drawing on her professional experience working on the Americans with Disabilities Act, Professor Feldblum described how she learned to conceptualize the skill set needed to combine law and politics. She outlined her six circles theory, which identifies six separate professional skill sets for effective advocacy, including those of: (1) a strategist; (2) a lobbyist; (3) a legislative lawyer; (4) a grassroots organizer; (5) a communications expert; and (6) a policy analyst. The legislative lawyer is someone who understands politics and law, and who can finesse the language of the bill and help the stakeholders to come to grips with issues surrounding the bill. Katie Corrigan, Policy Director of the Kalmanovitz Initiative for Labor and the Working Poor at Georgetown, expounded further on what it means for legislative lawyers to be experts in law and politics. In her work she performs the role of a strategist within the six circles theory that Professor Feldblum described. Corrigan said that, as the strategist, she depends on other people within her organization to have the other skill sets, including those of the legislative lawyer. Legislative lawyers, she said, understand how to read, interpret, and apply the text of a bill in context. They will know to ask questions that another member of the advocacy team would not think to ask. What does the text of the bill say? What happened at the committee markup? What does the cross-reference or footnote say? What do the courts say on this issue? Legislative lawyers own the responsibility to understand what the text is about. Ms. Corrigan noted that understanding legislative text is difficult, and the legal writing that a legislative lawyer engages in is very different than that by non-legislative lawyers because it is often primarily based on policy problems, rather than court decisions. Professor Brad Snyder of Wisconsin Law spoke about his extensive research into the history of judicial clerkships and several case studies. He spoke about the development of what has become the traditional clerkship model, where a judge develops a mentorship relationship with the clerk and plays a significant role in their professional development. Professor Snyder also discussed some of the negative consequences of the traditional clerkship model. First, judicial clerkships are increasingly becoming a sorting mechanism, especially as more law schools do away with traditional grades. Second, judicial clerkships perpetuate a court-centric focus within the legal world, which is a skewed view. Professor Snyder suggested that congressional clerkships would offer a new perspective on the law among new lawyers. Congressional clerks would see law in action in a much more realistic way than they often do through judicial clerkships. This panel featured law professors and academics who view the congressional clerkship initiative as part of a broader, necessary reform of legal education to focus more on legislation. Professor Victoria Nourse of Wisconsin Law then spoke about the practical implications of this divide: namely, that lawyers are estranged from the legal process rules that govern the way our democratic laws are made – that is, the rules of Senate and House procedure. She believes there is something deeply wrong with teaching what she called “congressional illiteracy” in law school. Students can quote you every relevant rule of civil procedure and know nothing about the filibuster – which ultimately has a much bigger impact on how (or whether) law is made. She concluded with four reasons why we need to teach about Congress in law school, all of which benefit the congressional clerkship initiative: to foster better leadership, better citizenship, better legislation, and better policymaking. Yale Law Professor William Eskridge commented on how the congressional clerkship initiative is an example of many good changes in legal education and the legal profession. From his perspective, the first year is being transformed from the case law method into a format that better (though not well) reflects the law of the modern regulatory state. This in turn will fuel upper level courses in sophisticated legislative analysis, so that statutory interpretation becomes the linchpin of legal education. Ultimately, Eskridge believes, the point is for students to develop universal literacy in the legislative and regulatory process. Secondly, the pedagogy of law school is changing and needs more focus on how the legislative process affects the substance of legislation. Students ought to be learning that statutes are dynamic and ever evolving. Eventually, law schools should start teaching “legis-prudence”: the jurisprudence of legislation and its centrality in understanding constitutionalism. Finally, Ohio State Law Professor Marc Spindelman addressed the new constitutional authority requirement in the House rules and how Congressional clerks could contribute to Congress’s understanding of the Constitution. This new rule requires every new bill to be accompanied by a statement of constitutional authority from which Congress derives the power to pass the proposed legislation. However, the rule does not call for a preemptive analysis of the underlying constitutionality of the proposed measure – only the Constitutional authority to pass the legislation in the first place. Congressional clerks could help Congress understand both narrow and broad readings of this rule, and inform the constitutional debate regarding proposed legislation. Professor Rudesill announced a number of advocacy initiatives undertaken by the Federal Legislation and Administrative Clinic at Georgetown Law. Among these efforts is a national petition from law students and recent law graduates to signal support for the congressional clerkship program. Professor Rudesill also announced that the students of the Georgetown Law chapters of the American Constitution Society (ACS) and the Federalist Society both support the initiative. Georgetown Law ACS chapter President Adam Schaefer and Georgetown Law Federalist Society chapter President Samuel Sharp, together with Professor Rudesill, presented a copy of the national petition, which had over 200 student signatures that had been collected over a 10-day period. The petition remains open for signatures online, and you can find it by clicking the tab above. Representative Lungren announced the introduction of the Daniel Webster Congressional Clerkship Act of 2011 in the 112th Congress. Noting his co-sponsorship with Representative Zoe Lofgren (D-CA), Representative Lungren said he believes the initiative is something that Democrats and Republicans can agree on. Of particular concern to Representative Lungren has been the expanding reach of the Judicial Branch in matters involving the interpretation of law Congress writes, and the negative public perception of Congress. Representative Lungren said he believes it is critical to look for ways to enhance respect for Congress, and appreciation for the lawmaking process. Representative Lungren pointed out that in the Constitution the founders dedicated Article I to the Legislative Branch. Although no one branch of government is more important than the others, he said, Congress is at least of equal importance. Representative Lungren said that the importance of the Judicial and Executive Branches of government has been emphasized in the legal profession, in part because of the existence of judicial clerkships and executive agency Honors programs. 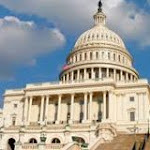 Congress is the only branch that does not have a formal program to engage new lawyers from the outset of their careers. The Webster Act seeks to remedy this problem. Representative Lungren said that congressional law clerks would have the opportunity to do legal work in Congress and gain first-hand experience within the legislative process. Members of Congress would, in turn, have access to the best and brightest among law school graduates.